0.5ltr Lead Crystal Boris Spirit Decanter. Holding half a litre of your favourite tipple, this stylish decanter would look great in any setting. The decanter measures 210mm x 90mm. It weighs 1.2kg unboxed. 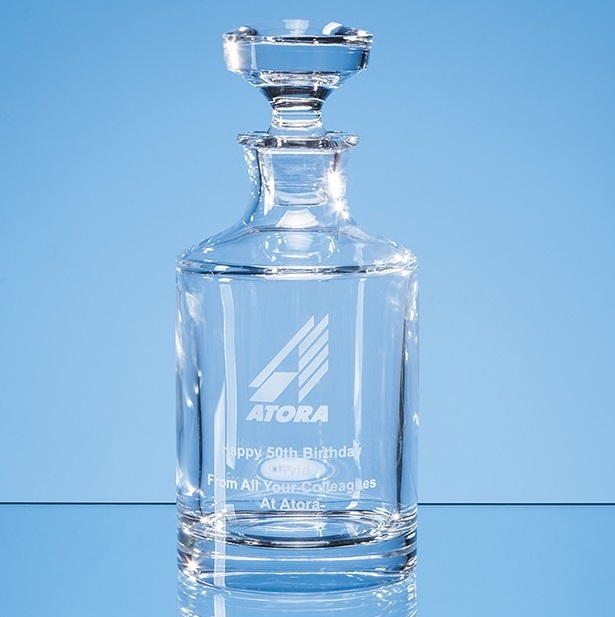 It has a large engraving area that makes it a fantastic choice for a personalised gift or presentation piece, or decorated in a more formal way for the corporate setting. The decanter comes in a skillet box as standard or a silk lined presentation box for an additional charge.